Stay tuned and check often to find out the latest happenings, events and updates about Foxbank Plantation and the Shops at Foxbank! 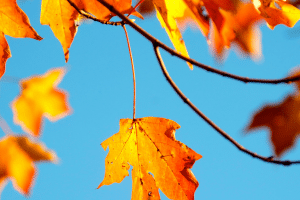 No offense to winter, spring or summer, but fall is definitely one of our favorite seasons. From football tailgates to apple picking outings and an abundance of pumpkin spice, there is no shortage of things to enjoy this time of year — and that includes all of the fall-inspired festivals that crop up around town. It’s Oktoberfest time again in Summerville. Head over to Hutchinson Square on Oct. 6 between noon and 6 p.m. for an afternoon of family fun, food trucks, jump castles, German music and plenty of delicious and hearty German refreshments. The best part? Admission is free! There are few things more magical during the fall season than watching the blooms at Magnolia Plantation and Gardens turn from summer greens into autumn golds. Stop by the beautiful gardens for their annual “Autumn on the Ashley,” where dozens of artisans will feature their handcrafted and fall-inspired creations. You can even purchase your own fall blooms courtesy of Magnolia Gardens. If you’re looking for a fun, family-friendly fall event (try saying that five times fast), look no further than the annual Goose Creek Fall Festival. Hosted on Saturday, Oct. 13 between 10 a.m. and 3 p.m., this fabulous event is presented by the City of Goose Creek and features local entertainment, crafters, exhibitors, food vendors and free kids’ activities. Parking and admission are both free. Hosted at the Goose Creek Community Center, the annual Halloween Carnival is a favorite for families of all shapes and sizes. Stop by the community center gym between 5 and 7 p.m. for a FREE evening full of carnival games, candy and prizes, a cupcake walk, Halloween crafts and a costume contest. Age groups from the contest are 0 to 3, 4 to 7 and 8 to 12 years old. This entry was posted in Around the Community, Events, Foxbank Plantation, Holiday and tagged Events, Halloween. Bookmark the permalink.